via this auction where you'll find more pics. 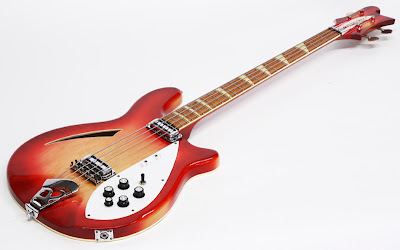 "For your consideration is this vintage 1967 Rickenbacker 4005 semi-hollowbody electric bass guitar. This extremely clean example features all of the desirable pre-'68 characteristics, including; crushed glass shark-tooth inlays, checkerboard bound back, and toaster top pickups. Famously used by John Entwistle, the 4005 Model has become probably the single-most interesting vintage hollowbody bass, exceeding the value and desirability of its similar guitar counterparts. Considering the 4005's low production and never-diminishing demand, these basses have increased in value while other vintage items have done the opposite. 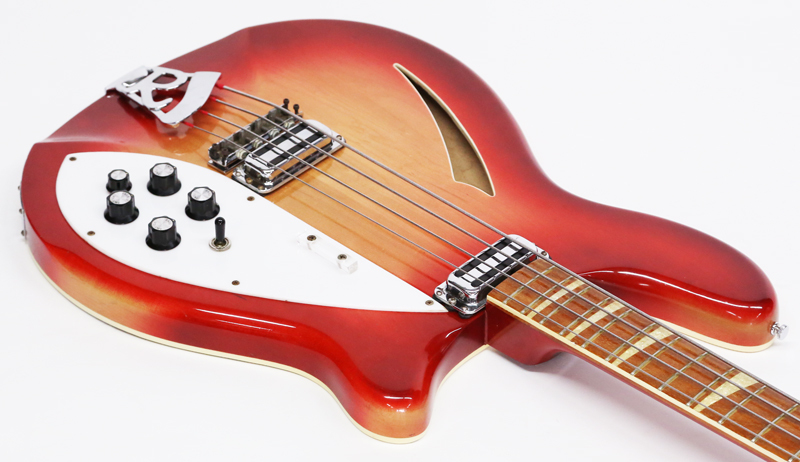 Without a doubt one of the cleaner, more attractive, examples we have found online, it will be difficult to source a better one for less, so take advantage of this opportunity to buy an incredible 1967 Rickenbacker 4005! Weight: 8 lbs. 11 oz. As the photos illustrate, this example is in exceptional cosmetic condition. With no serious playing wear, and only several very minor insignificant dings, most would rate this bass a very conservative 9+/10. The beautiful FireGlo cherry sunburst finish remains un-faded and the hardware is pristinely preserved and void of oxidation. The neck is straight, and the action is superbly low. There are no modifications, nor any structural issues. Currently strung with La Bella flatwound strings, this is deep rich bass tone at its finest. With thick thumpy low end, and organically percussive highs, this dynamic bass is not only versatile, but it sounds good in any possible configuration. 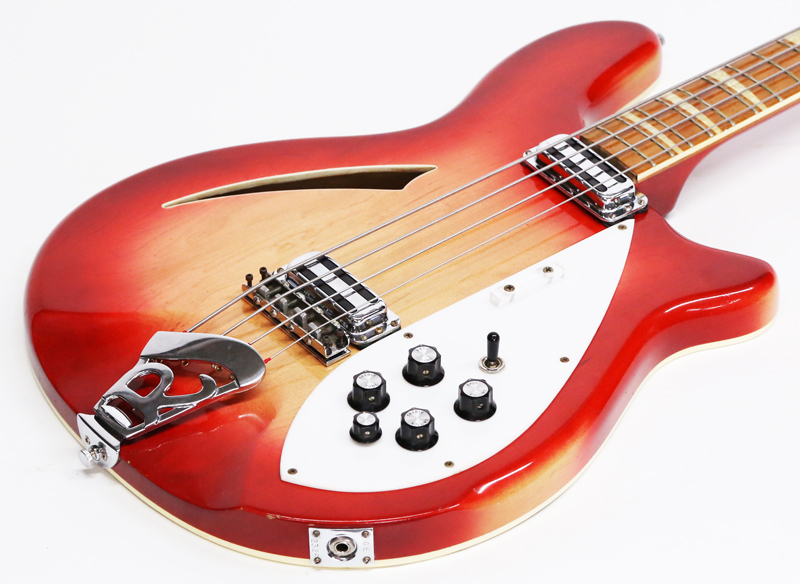 The bass does not include the original case, though the case it comes with fits it perfectly."